Enjoy a complimentary sample with orders over $100. 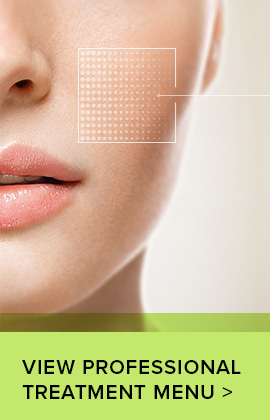 Have you visited an Ultraceuticals Clinic? Designed for an active, outdoor lifestyle. Provides complete UVA/UVB broad spectrum sun protection. Contains twice the amount of skin conditioning ingredients of the SunActive Face & Body Lotion. Always read the label. Follow directions for use. Designed for an active, outdoor lifestyle. • Contains UVA/UVB Spectrum Sunscreen • Broad Spectrum Sun Protection • 4 Hours Water Resistant • Ultra lightweight formula. • Also suitable for men and normal/oily skin types to use on the face. Suitable for normal, dry, oily and sensitive skin types. Fast-acting, non-greasy formula containing a powerful blend of Soy Bean Extract, Tasmanian Berry Extracts and Vitamin E Phosphate to soothe skin post sun exposure. UV damage is responsible for up to 80% of all skin ageing. The sun sends out different types of radiation that reach the earth – visible light that is seen as sunlight, infrared radiation felt as heat and ultraviolet radiation (UVR) that we can’t see. Ultraviolet radiation can be classified as UVA, UVB, or UVC. UVA rays account for up to 95% of the UV radiation reaching the earth’s surface and can penetrate clouds and glass. 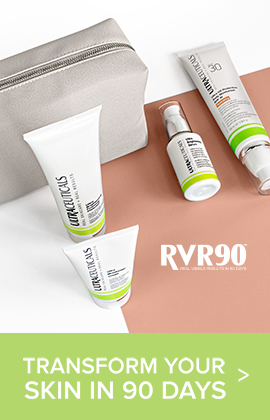 These UVA rays play a major part in photodamage and skin ageing. UVB rays are the chief cause of skin reddening and sunburn, damage which can also lead to premature skin ageing. Both UVA and UVB rays have the potential to cause skin cancers. 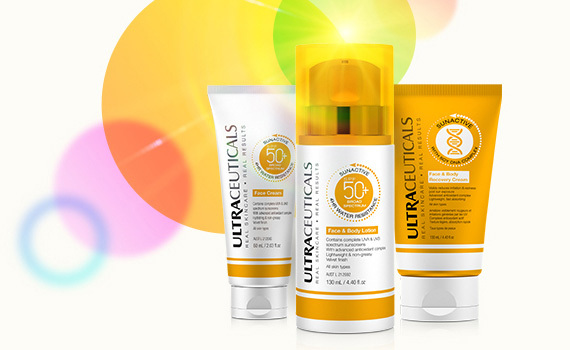 Protect your skin against exposure to UV while enjoying your active outdoor lifestyle with the Ultraceuticals SunActive SPF 50+ range. ALWAYS READ THE LABEL. FOLLOW THE DIRECTIONS FOR USE. AVOID PROLONGED EXPOSURE TO THE SUN. WEAR PROTECTIVE CLOTHING, HAT AND EYEWEAR WHEN EXPOSED TO THE SUN. REAPPLY EVERY 2 HOURS TO MAINTAIN THE SAME LEVEL OF PROTECTION. AVOID CONTACT WITH EYES. Whatever your skin type, Ultraceuticals has products designed to treat and protect your skin. Start your skincare journey with a consultation with a highly trained skin expert at your local Ultraceuticals clinic. You can find us in the best clinics and salons across Australia and New Zealand. Overseas? Book in for a Skype Consultation. Ultraceuticals luxurious facial treatments incorporate potent active ingredients, UltraSonophoresis and massage to treat key skin concerns and reduce the visible signs of ageing. Choose from treatments designed to clarify, hydrate and rejuvenate the skin, leaving it radiant and glowing using techniques including deep cleansing and accelerated exfoliation. Book in for a professional consultation at your nearest Ultraceuticals clinic.